If you are looking to for a holiday or short break in Norfolk, East England then Eden Cottage provides some great self catering accommodation for you. Self catering accommodation at Eden Cottage sleeps 2 with	1 bedrooms	and prices for a weeks stay start from just £281. This attractive little barn conversion is set near the owner’s early 18th century home which was once a thriving inn! The Broadland village of Coltishall with its selection of inns and restaurants is nearby and just 3 miles away lies bustling Wroxham where day boats can be hired for exploring the reed lined waterways rich in wildlife especially waterfowl. National Trust properties a miniature steam railway (which passes by the cottage) riverside walks golf and riding locally. Sandy beaches and the cathedral city of Norwich are within 15 miles. Shops pubs and restaurants 1.5 miles. 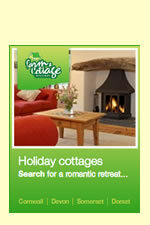 Eden Cottage is situated at Adam & Eve House, Little Hautboisin Norfolk. A map is below but if you are travelling by car the all important Sat Nav settings are: Latitude 52.74723, Longitude 1.33648 or postcode NR12 7JS.